In July of last year, we announced Zimbra Collaboration 8.7, which included four of my favorite, admin-related features including Two-Factor Authentication (2FA), a new Zimbra Packaging System, SSL Server Name Identification (SNI) and Zimbra Postscreen. Today, I’m thrilled to announce our first minor release of 2017: Zimbra Collaboration 8.7.2, please go to the Downloads page to grab it. We have also a beta for Zimbra Collaboration 8.6 Patch 8, which you can download and install by contacting Support. If you need it, please go here to obtain more information about how to reach Zimbra support. We are working behind the scenes to make many changes to Zimbra. One of these changes is a more frequent release process for bugs and patches. One of our goals for 2017 is to have more frequent releases, to fix more bugs and to fix bugs faster. We are really happy to have this release acceleration in place, and we’re looking forward to your feedback on our new approach! Here is a comprehensive list of all the items addressed in this Release. One of my favorite fixes is Bug 104027: Mail list view is not refreshed when deleting mails in message view. Enjoy the fixes! 107601 SyncGalRequest throws error if galsync account and user account are not on same host. 107606 Rolling upgrade from network to network ,gives warning of switching to FOSS. 102980 Some zimlet does not display dismiss text in Dismiss button of Dialog. Here is a comprehensive list of all fixed items in ZCS 8.6 Patch 8. This Patch address mostly Security Issues with different importance. We strongly recommend that all of our Customers running Zimbra Collaboration 8.6 install this Patch as soon as possible. Information about security fixes, security response policy and vulnerability rating classification are listed below. See the Zimbra Security Response Policy and the Vulnerability Rating Classification information below for details. A faster release schedule is much appreciated. 8.7.2 installed on my test environment with no issues. Thanks! It seems that Patch 8 for Zimbra 8.6.0 is not available on the downloads page. On the zimbra.org website is says “Patch-8 (beta): contact support in order to obtain it.”. Could you please update the links? 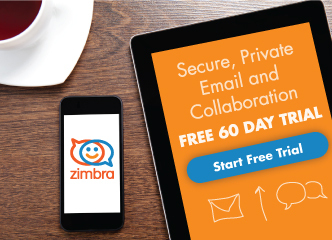 Are you a Zimbra Customer? You can open a support ticket and grab it, if not, we will mark it as GA in about one/two weeks. Note: CVE-2015-6542 is being marked as a reservation duplicate of CVE-2016-3403 by Mitre.